Dr. Heidi Rula joined Ironwood in 2018 to launch the Integrative Oncology program. She is board certified in family medicine and fellowship trained in Integrative Medicine. 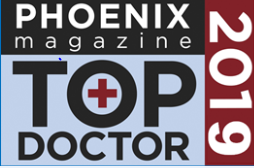 Dr. Rula has been a practicing physician in the Phoenix area for approximately 20 years and has been recognized by her colleagues as one of Phoenix’s “Top Doctors” on multiple occasions. Dr. Rula has played a key role in bringing integrative medicine to the Valley. She served as the medical director of the University of Arizona Integrative Health Center where she leads a team of physicians and complementary practitioners in a unique model of integrative primary care that she helped to develop along with Dr. Weil and the UA Center for Integrative Medicine. Dr. Rula’s passion for integrative oncology was inspired by the experience of caring for her mother with terminal cancer. It was this experience that motivated her to train in integrative medicine to better help support patients during cancer treatment and help them go on to live healthy and vital lives. Dr. Rula is married and has two children. In her free time, Dr. Rula enjoys reading, skiing, travel, and fitness.